The process of designing a product or structure helps to create a clear, straightforward plan that minimizes the chances for error while ensuring that the material is structurally sound. When it comes to building an entire structure, you will be tasked with finding the right team to design, fabricate, and install steel construction systems to deliver peace of mind and long-lasting quality. Working with a team that does not know the ins and outs of the industry may end up costing you, either financially or in terms of safety. Builders across the Great Lake State have come to rely on Sanilac Steel for complete quality for all of their structural steel design needs. Our structural steel fabricators have helped Michigan builders create amazingly precise, beautiful, and affordable solutions to suit the needs of many industries. Before structural steel fabrication begins, the product must begin as a concept. This idea will require a range of engineering considerations to account for all of the possible scenarios that may cause the metal to warp or fail. Designers will be tasked with creating the basic logistics for fabrication and erection, taking measures to balance the load and resistance factors involved. Structural steel design has evolved to take on many industries, from bridges and homes to hospitals and more. The initial design process lays the groundwork for your future building, putting a prototype onto paper for future use. Once a product or plan has been created, your steel detailer will come in and begin to “detail” the plans. This step is essential in taking your building from the design phase into construction. Part of steel detailing includes auditing the plans to look for areas of improvement, ensuring that each element is clearly labeled and understandable for engineers, fabricators, architects, and more. Every element in your building design should be detailed for the most clarity, including material type, size, rigidity, placement, and connections. Accuracy is essential every step of the way, as every piece needs to be updated uniformly to ensure balance and consistency. 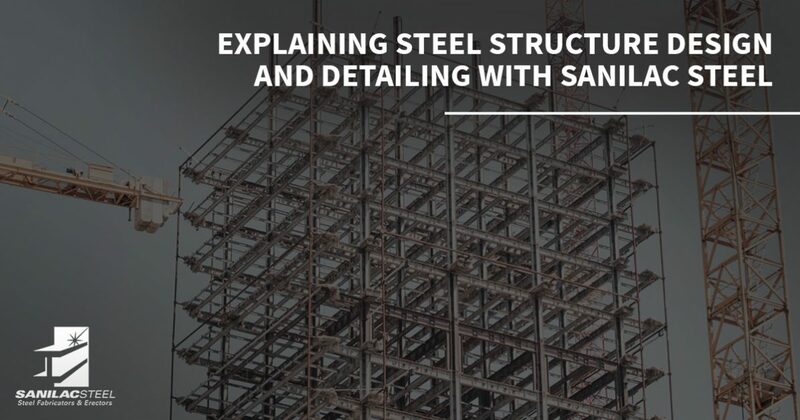 Balancing the demands of a steel project with the finer details needed to ensure a precise outcome, detailers face challenges when trying to balance cost with performance. Everything must work together perfectly, as all of the changes implemented will still need to create the building in a manner that structurally feasible. Your expert will need to ensure that their changes and details still fall within the scope of construction, creating cost-effective changes that can streamline production while minimizing the chances for error. Shop drawings, also known as detail drawings, highlight every detail involved in the construction of a building. Every piece of steel used in the project will be found here, helping your structural steel fabricators to reproduce the product needed. From columns and beams to joists, trusses, and more, each element must be detailed in full for the best results. This can include material dimensions, weights, surface characteristics, finishes, bolting details, and more. Steel erection drawings highlight the overall building and how each steel component fits into this complex design. Your vertical drawings will include how to position each product, including where to place it and how to bolt it in place. The associated work required for each component will also be included for smooth installation procedures in the field. Since 1967, Sanilac Steel has worked to deliver the best structural steel fabrication services, and part of our expertise includes detailing and design. Clear communication. Minor miscommunications during the detailing or building process can result in unsafe and costly outcomes. Our fabricators can work with every member of your team to ensure that everyone is in the loop. Sanilac Still collaborates with builders and subcontractors from all over, and we’re sure that we can communicate for an expert outcome. Industry experience. Making changes throughout the building process can be much easier if you have decades of experience. Our team proudly boasts decades of work, knowing the ins and outs of the industry to provide complete solutions for your design details. Modern training. Sanilac Steel is also up to speed on the best practices to ensure that your building is built to be the best that it can be. It pays to find a steel design team that knows the standards and regulations of various industries. Quality design software. Your detailer will likely rely on modern technology to create accurate and affordable building solutions. It is essential to find a structural steel company with the technology need to provide amazing results. Structural steel fabrication is an important part of the construction process, yet steel structure designs and detailing are the finer points that help to dictate whether a project is hugely successful or a major setback. Sanilac Steel is here to serve as your structural steel fabricators in Michigan, delivering comprehensive quality through every stage of your project. Contact us today to learn more about our structural steel design process, and be sure to request your quote!